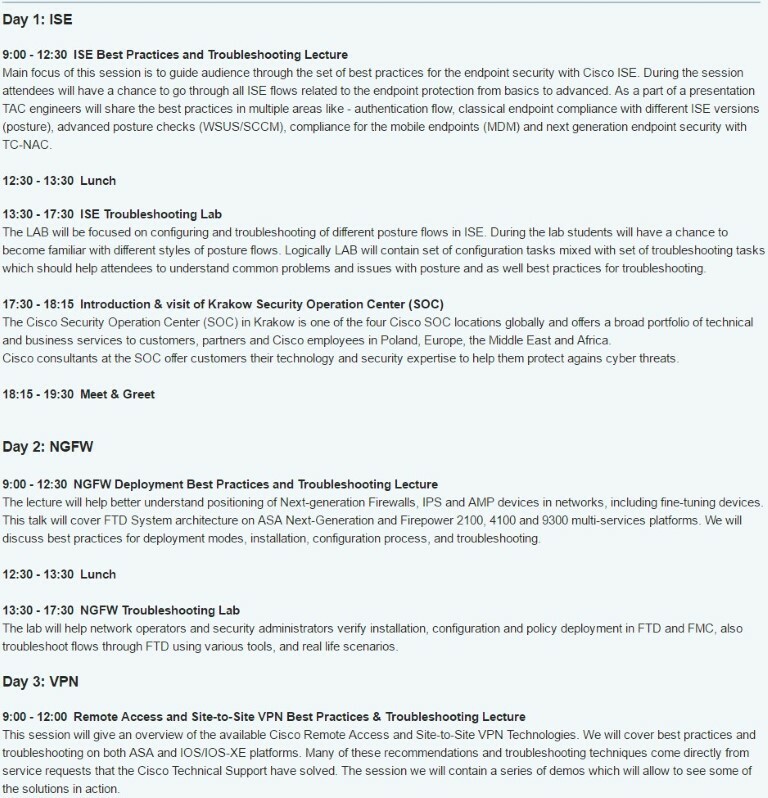 This week I attended and event organized by Cisco TAC in Krakow. I’ve been in may Cisco events (Live, PVT, Pint etc.) but It was the first time for me at a TAC workshop and I was curious about it. Agenda was clear: tree days with TAC engineers presenting best practices for installation and configuration with a clear focus on troubleshooting methods and tools. I was not disappointed by the contents: marketing was reduced to minimum, all the presenters were skilled TAC engineers and all the sessions were very detailed. I shared my opinion with other fellow network/security engineers attending the event and everyone agreed we learned many tools that will make our life easier on the field. The event included a visit to the SOC where security incidents of customers are managed. 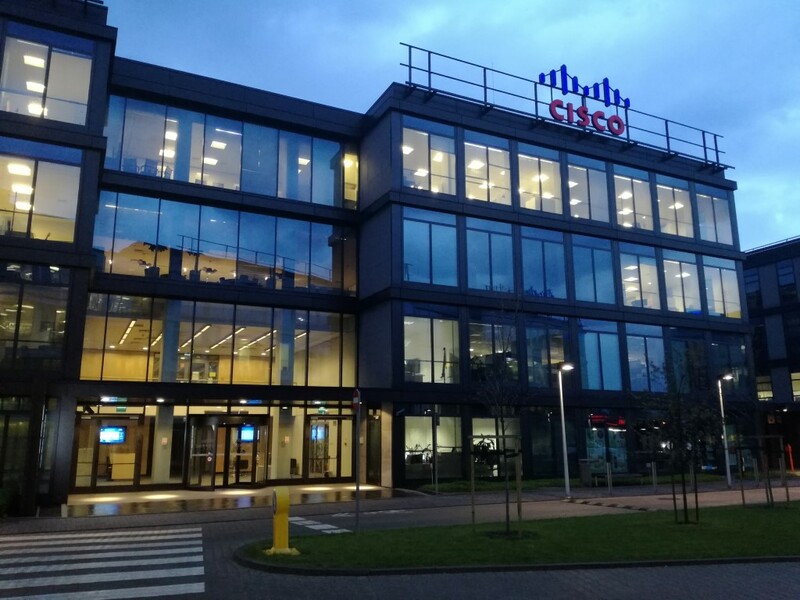 The location of the event was Cisco TAC offices in Krakow, you can find many pictures online HERE. Krakow is a small city with a nice center and cheap restaurants and transports. The weather did not helped but I had a chance to enjoy a walk in the central square and the streets nearby. 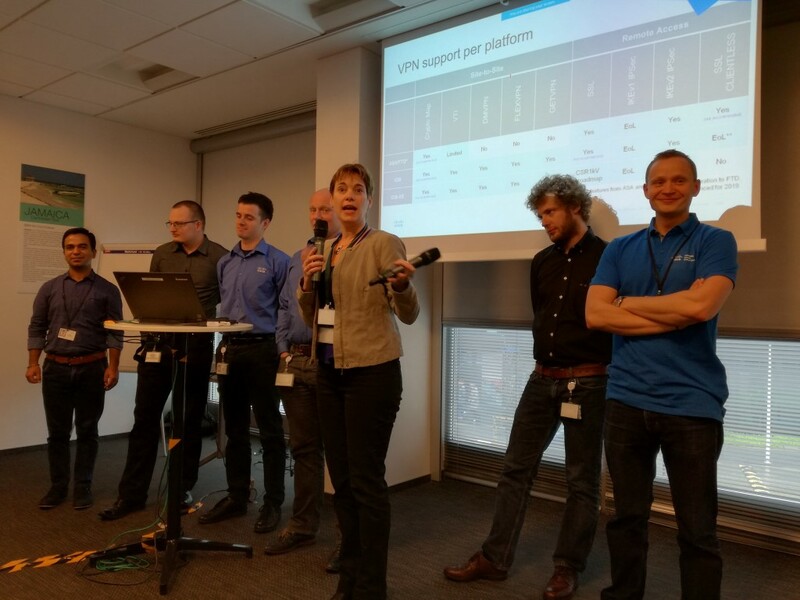 The Cisco team demonstrates again that they really want to help their partners and customers providing all the information necessary to do a good job on the field. I can’t wait for FTD to reach the feature parity with ASA to start deploying more boxes. Looks like the BU and TAC are working together to get soon to the result, I expect some announcements before the end of the year. Can’t say more, some topics are covered by NDA. I was happy to meet some fellow network engineers, don’t forget to follow me on twitter, I enjoy a chat and a beer to discuss experiences and opinions about the wonderful world of packets.